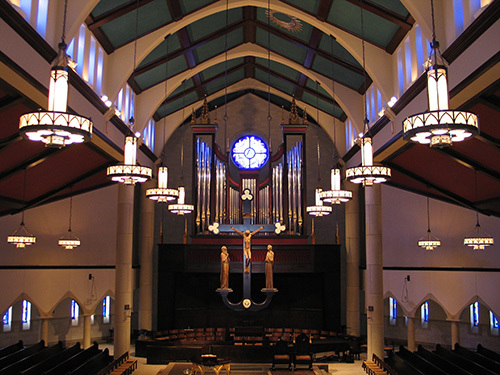 St. Vincent de Paul is a Roman Catholic Church located in the thriving and growing area of Northwest Omaha. Here we seek to model our patron saint in living out the mission of our parish. Called to be a Catholic community, inviting all people to know Jesus Christ through worship, faith formation, and service. Just as He offered His complete gift of self, we too, give generously of ourselves through regular worship with our parish family, participating in parish activities, committing to growth in our faith, and regular financial support of our parish. Wherever you live in the metro area or wherever you are in your life or your faith journey, please let us know how the Catholic faith community of St. Vincent de Paul can help. You are welcome here!